Boy 23 is outside but he has no idea how or why. His only guide is a letter telling him My Place, the only world he has ever known, is not safe. The people there want him dead. With nothing but a few basic essentials and a small screen to guide him, Boy 23 runs with no clue to his destination. Even with his strange regenerative powers, his chances of survival are slim. For a start, he has never met or spoken face-to-face with another human being in his entire life. Carina spends every waking moment scheming her escape. She remembers what it was like before, but anything has to be better than being a child slave. She is not in My Place, that much is clear. However, where she is and how she fits into the story is a mystery at first. Alternating chapters introduce Boy 23 and Carina and their seemingly unconnected worlds. Their needs, hopes and personalities are progressively revealed until the two finally cross paths. By that time, I was invested in their survival. I had to know if they could outwit the multiple forces lined up against them. Jim Carrington has creates an unimagined but convincing world in which draconian powers control all. Every time I thought I had a handle on what was happening, another twist forced the pages to turn even faster than before. In the end, I was hanging on for dear life. 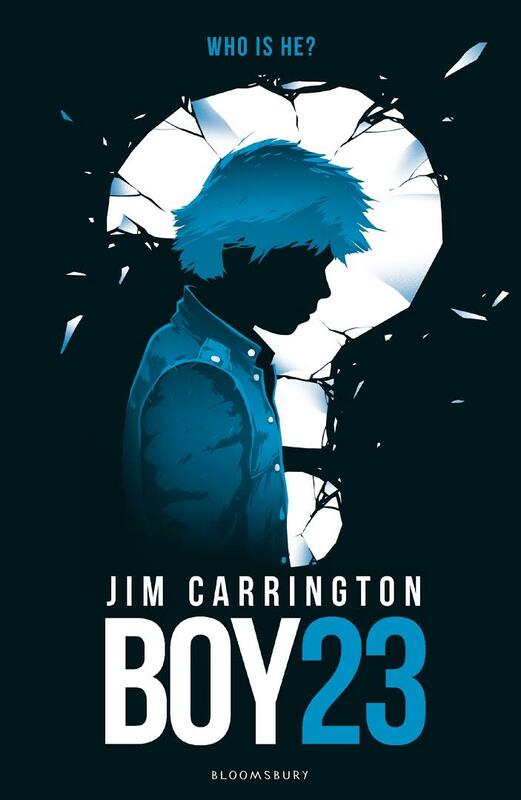 If you are into fast-paced action tales but also like to be under the skin of your heroes, Boy 23 is for you. I had Carina's back every step of the way but Boy 23, with his quirky way of seeing things and his odd new words, stole my heart.